BE SURE TO READ OUR ANNUAL REPORT! Teaching farm-based education at the Seed to Table education farm for the past five years, I am often asked noodle tree type questions. We can all remember a moment in life when we made the connections between a processed food item and its origin. The “aha” moment of mayonnaise starting as eggs, pickles as cucumbers and noodles from wheat grass! With so many different flavors, textures and smells from all around the globe in today’s world, confusion about where food comes from seems only natural. And, after all, knowing where noodles comes from is not necessary for meeting state education standards. 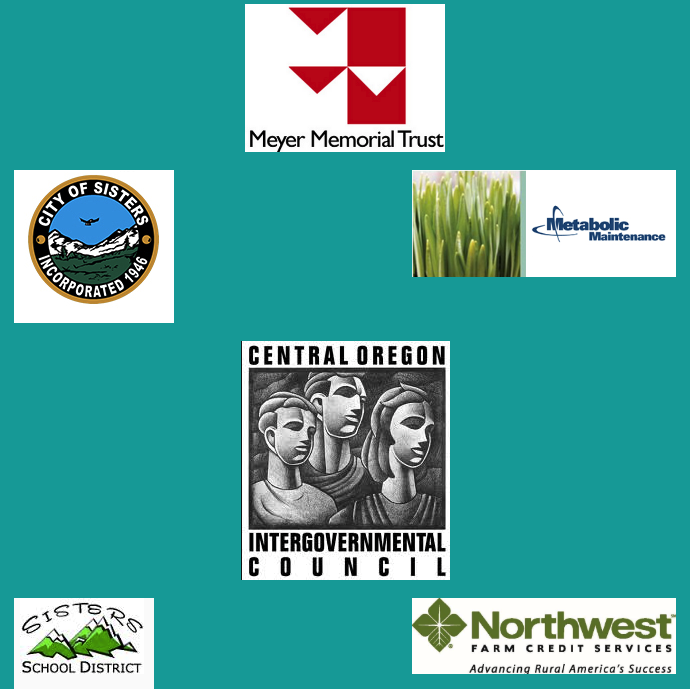 But providing opportunities to make deep connections through real life learning, with hands on experiences, has helped make our Sisters School District the number one district east of the Cascades. 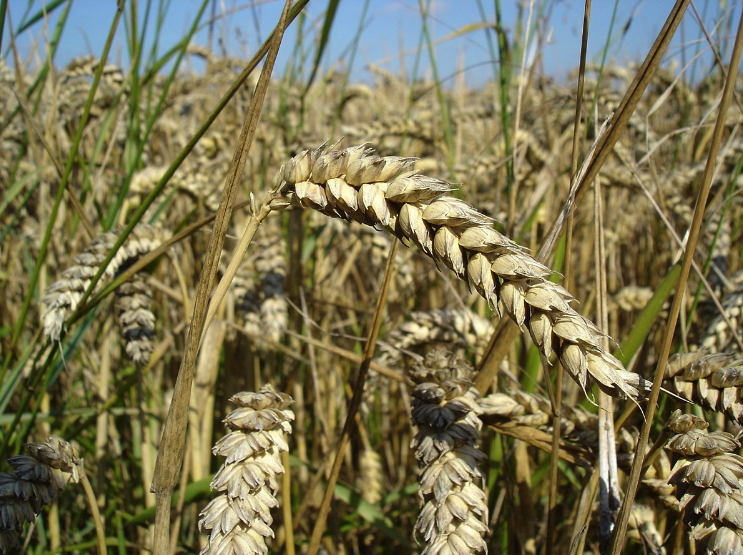 On the farm, questions about pasta turn into a beautiful history lessons ending with an introduction to genetics. At the same time, students are introduced to eating and wellness habits that can successfully propel them through the rest of their lives; whatever they choose to do. 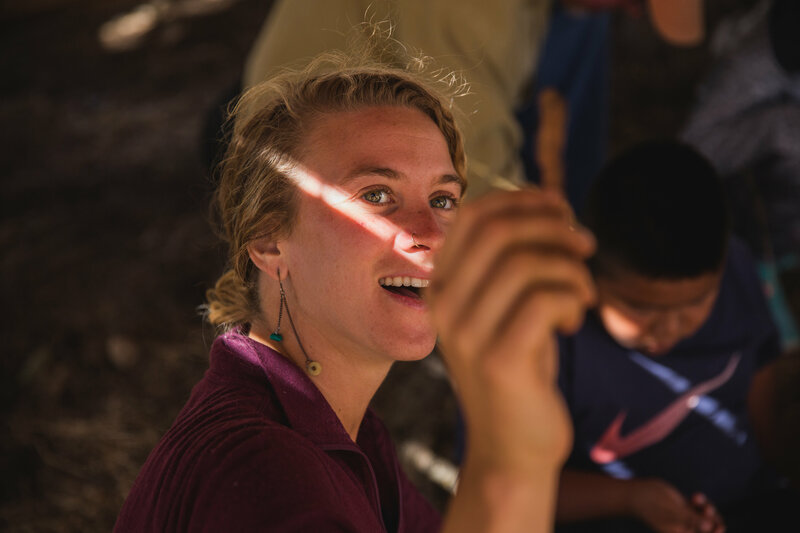 Our living laboratory creates a vibrant landscape intertwining food, wellness and education. 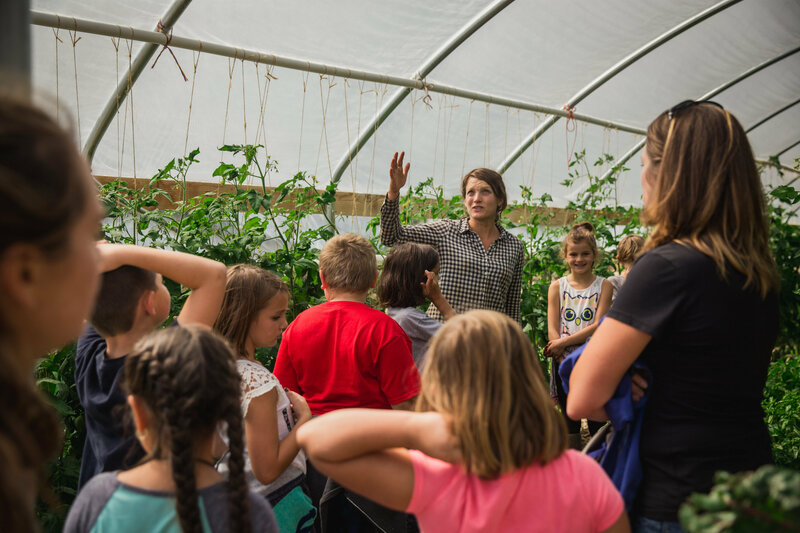 In fact, Seed toTable’s curriculum, administered through 12 farm field trips for every student between grades 2 and 6, covers up to 50 of the state Department of Education’s Next Generation Science Standards. This spring 700 students visited the farm learning about topics as diverse as nutrient cycling, decomposition, nutrition, environmental conservation and history. 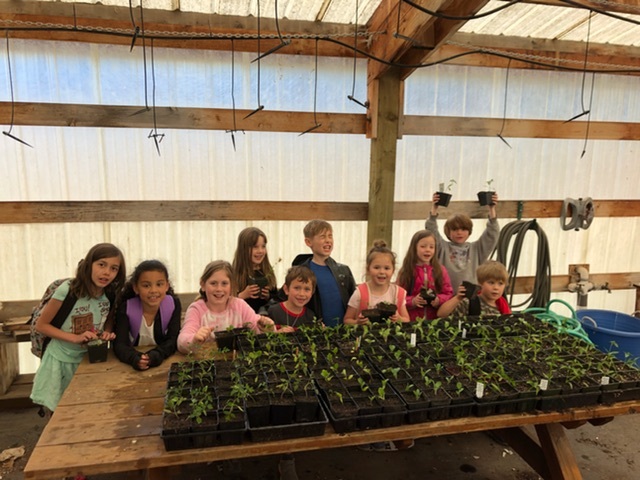 Thanks to our partnership with the Bend Environmental Center and Food Corps we were able to get up to 150 students into garden club every week, as students opted to spend their recess with their hands in the dirt. One of Seed to Table’s exciting new education components is the development of the Sisters High School’s four season greenhouse. The greenhouse is home to three different hydroponic systems as well as three, 40 foot long raised beds. 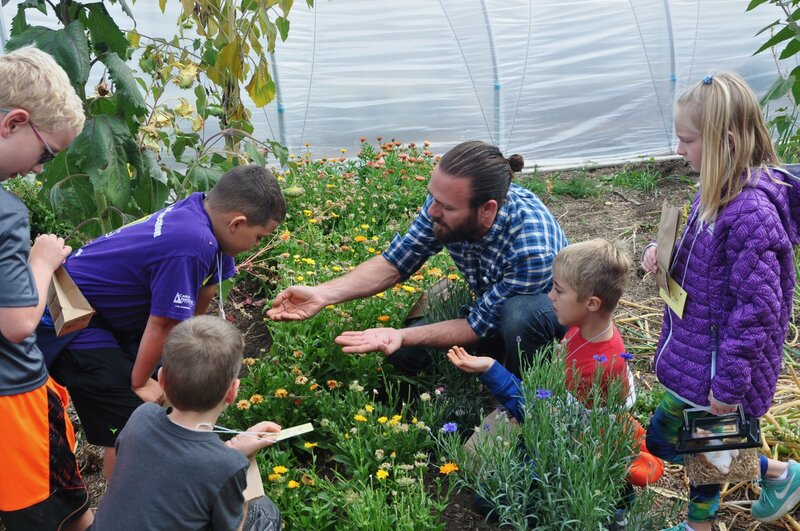 Seed to Table manages the greenhouse and teaches the agriculture class alongside teacher, Glenn Herron. This spring students eagerly filled the space, constructing new raised beds now overflowing with squash, tomatoes, eggplants, peppers, cucumbers and fig trees! 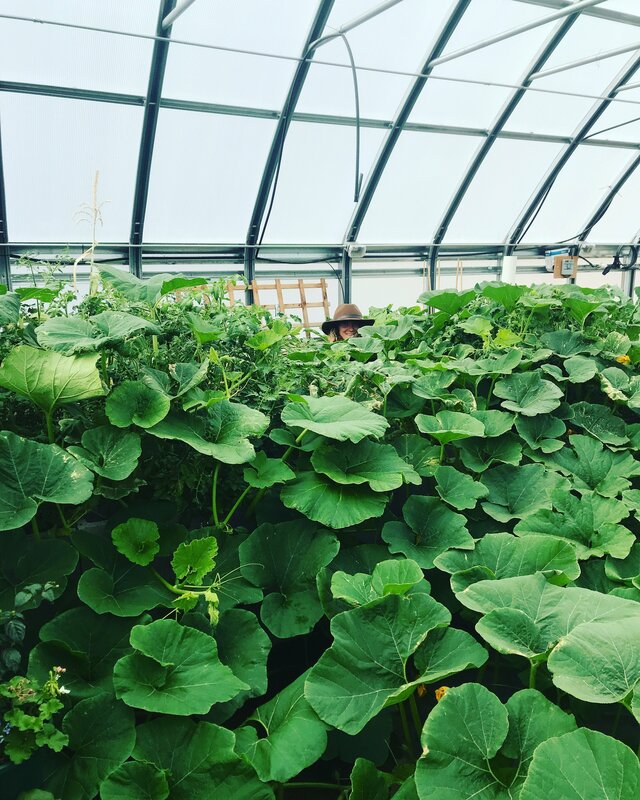 In the photo below see if you can find our Farm Director hiding the giant squash patch in the high school greenhouse. 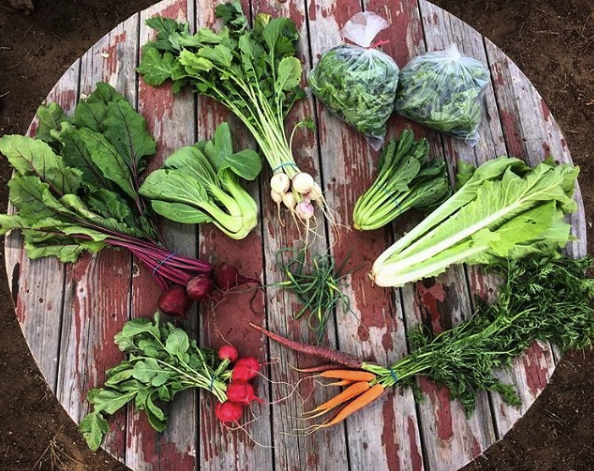 More than a few Sisters High graduates, who have gone through Seed to Table’s high school program, will be using what they’ve learned to go into health services, sustainable agriculture or environmental conservation. 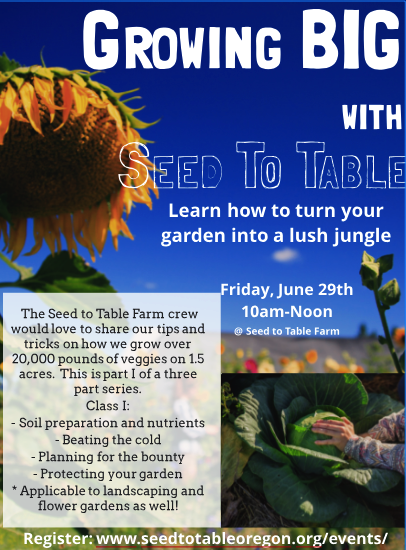 We, at Seed to Table, are simply thrilled that, going into our fifth summer season, our programs are impacting our students in such profoundly positive ways. 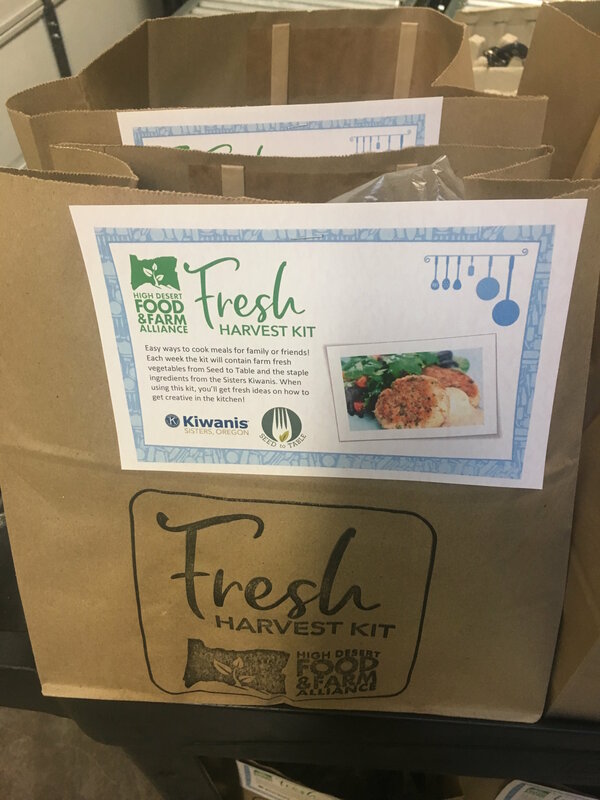 Thanks to our partnership with the High Desert Food and Farm Alliance (HDFFA), 30 families a week are receiving a Blue Apron type meal kit through the Kiwanis and Bread of Life food banks. The goal of the kits are to give opportunities for participants to try new foods, learn new cooking skills and to explore integrating more fresh foods into weekly staple items, such as canned tomato soup. 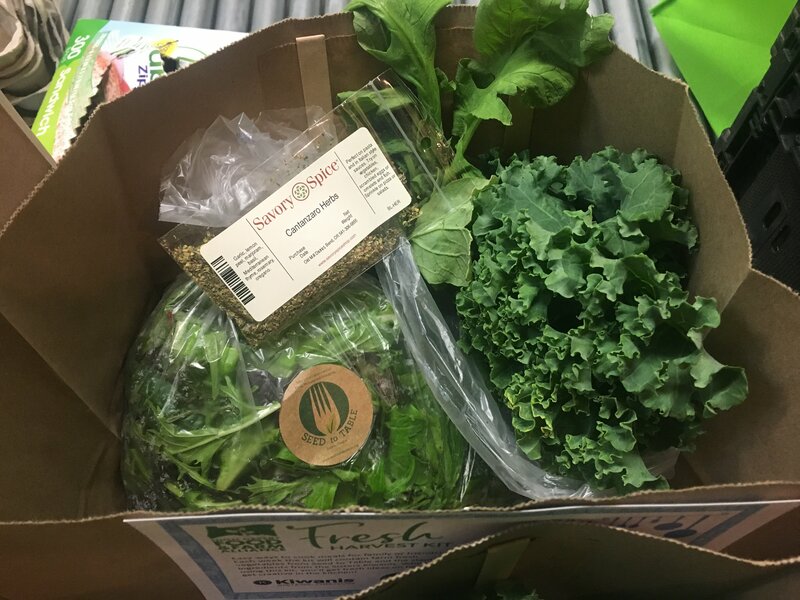 For the meal kits, Seed to Table provides fresh vegetables and coordinates with HDFFA's program director to choose which recipes to try each week. Food bank items and Seed to Table veggies are packed into the kits by food bank volunteers. Families then get to go home and try out new recipes, exploring new recipes and flavor combinations with their weekly staple items. This is the first program of its kind throughout the NATION! Kits have been flying out the doors and participants are loving the ability to try new things. Examples of recipes include tomato soup with swiss chard, tuna cakes with fresh salad, beefed up beef stew with biscuits and summer harvest soup. 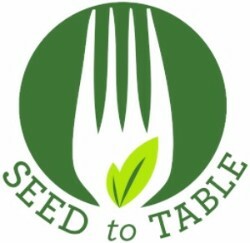 Seed to Table has filed the necessary papers to become a not-for-profit, tax exempt 501(c)(3) that will be formally known as Seed to Table Oregon. I expect to receive a reply from the IRS sometime after August 22nd of this year. 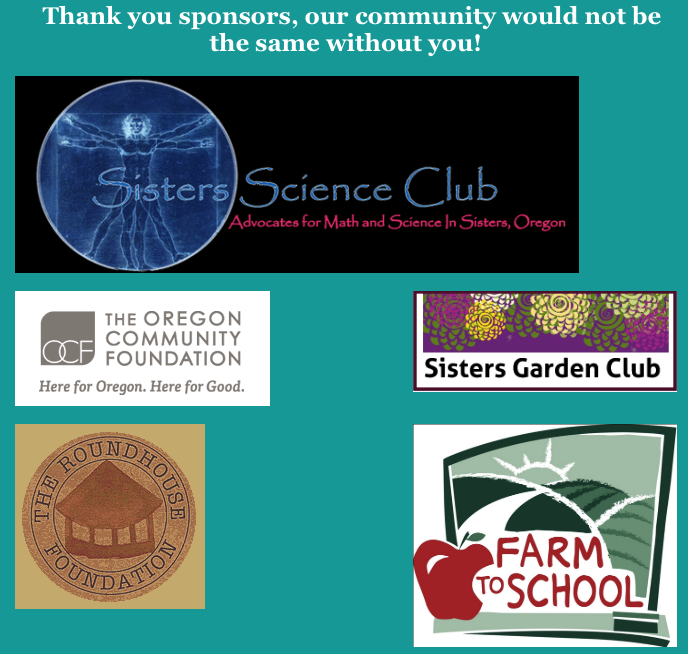 Currently we are still fortunate to be under the fiscal sponsorship of the Sisters School Foundation. 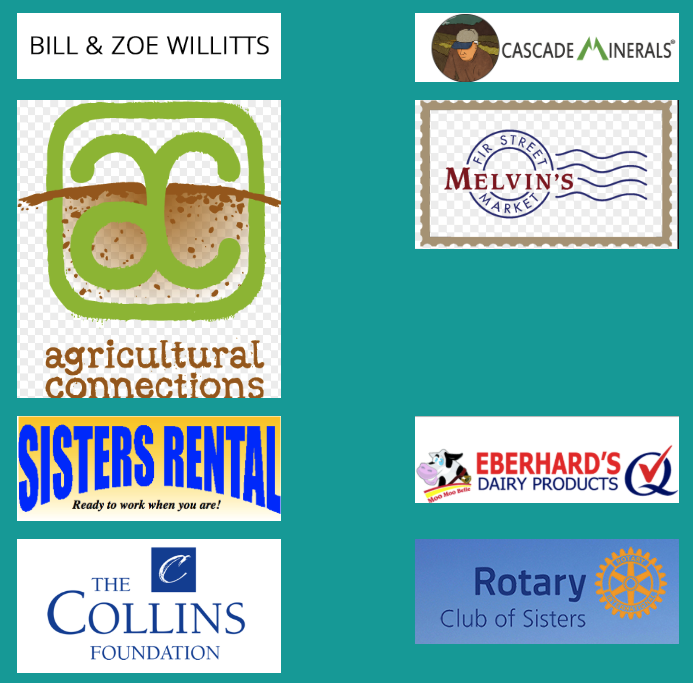 I want to take this opportunity to give a warm welcome to our amazing volunteer board members who have been incredibly helpful and inspiring in making Seed to Table an even stronger organization. 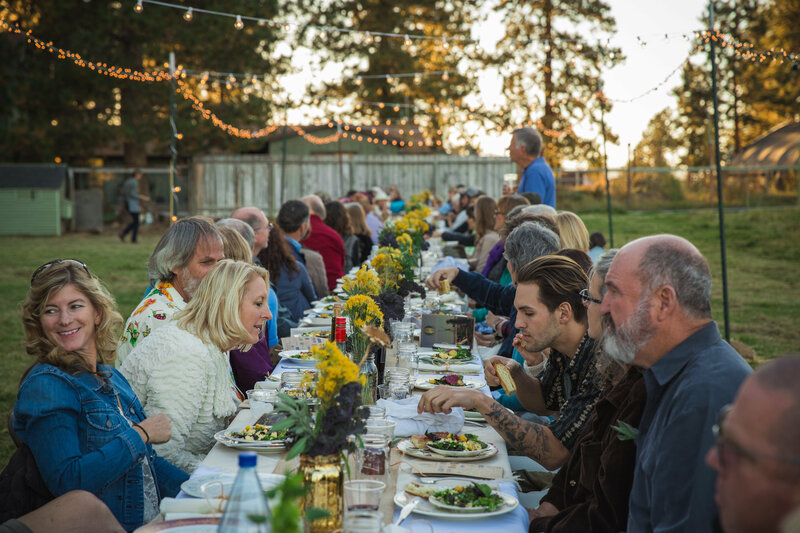 We are excited to share a season of fresh foods with you!